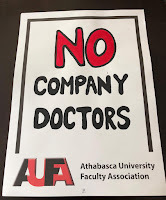 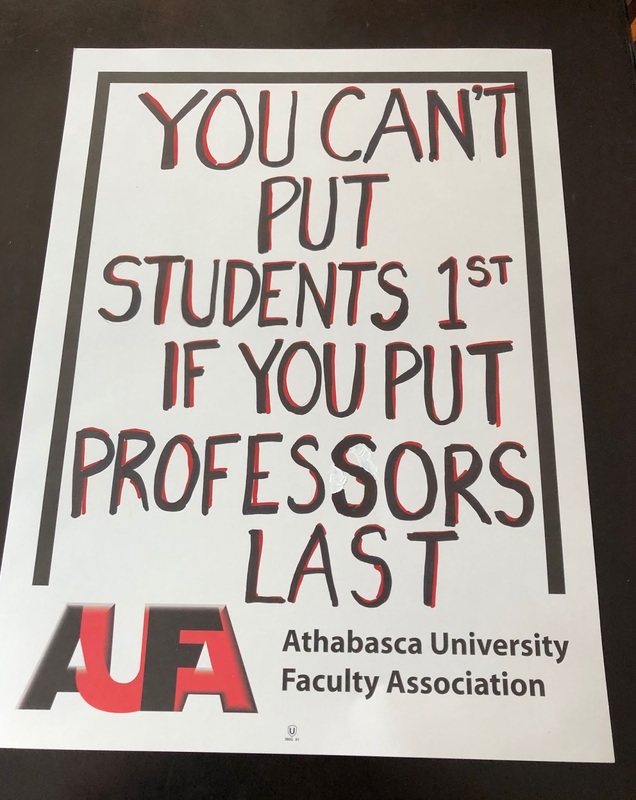 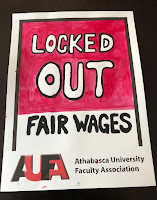 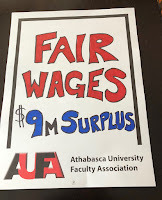 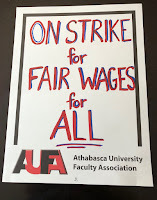 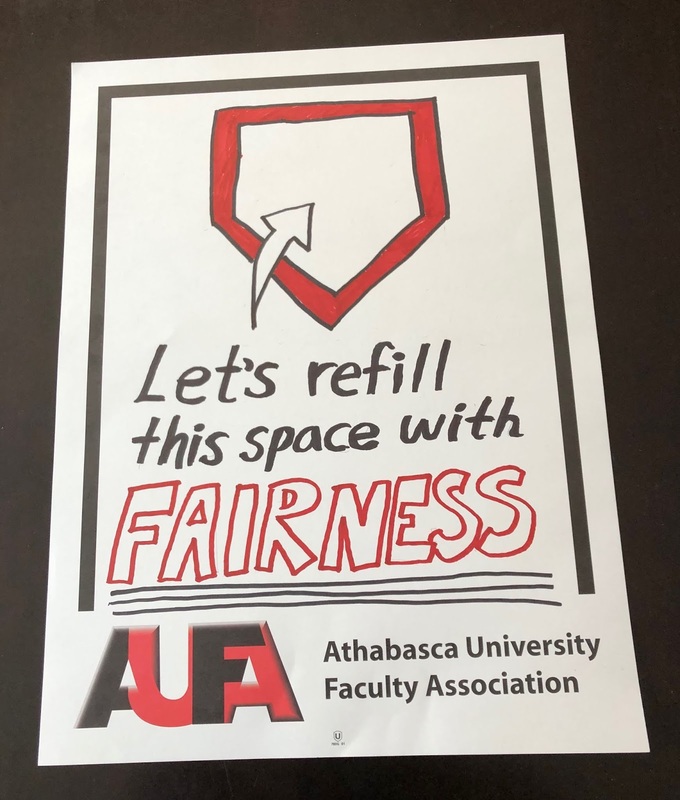 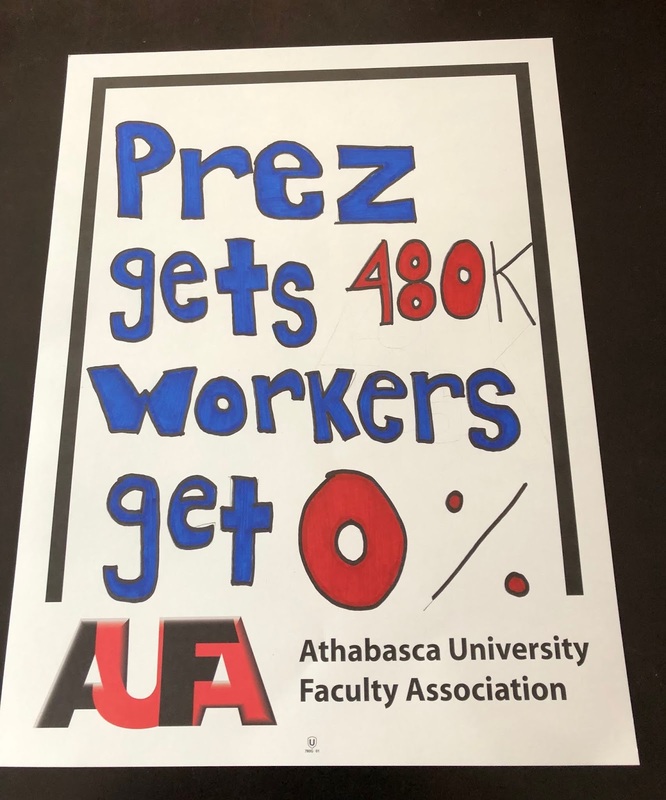 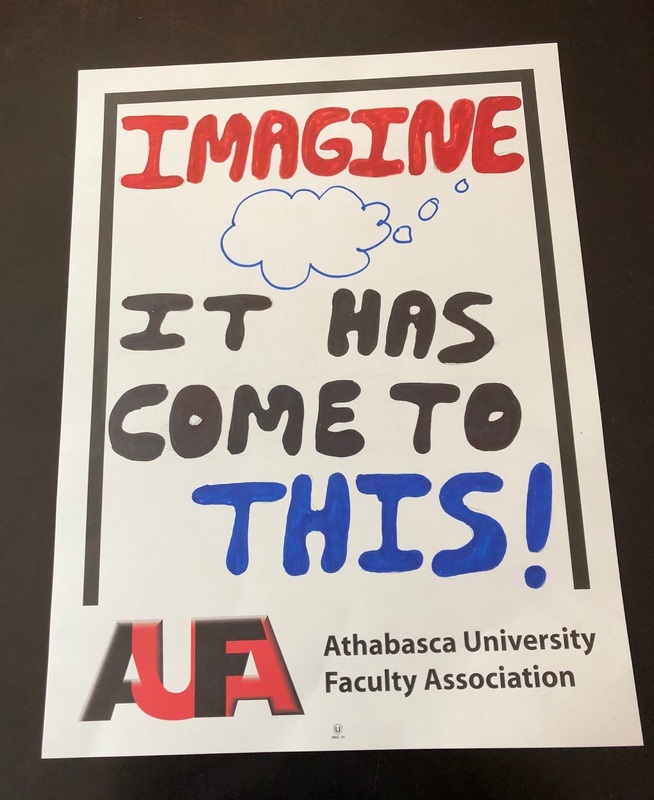 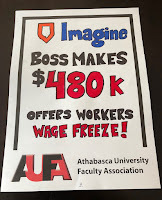 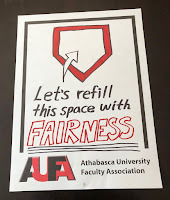 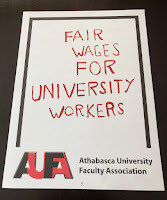 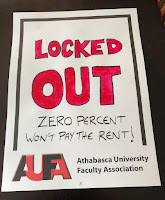 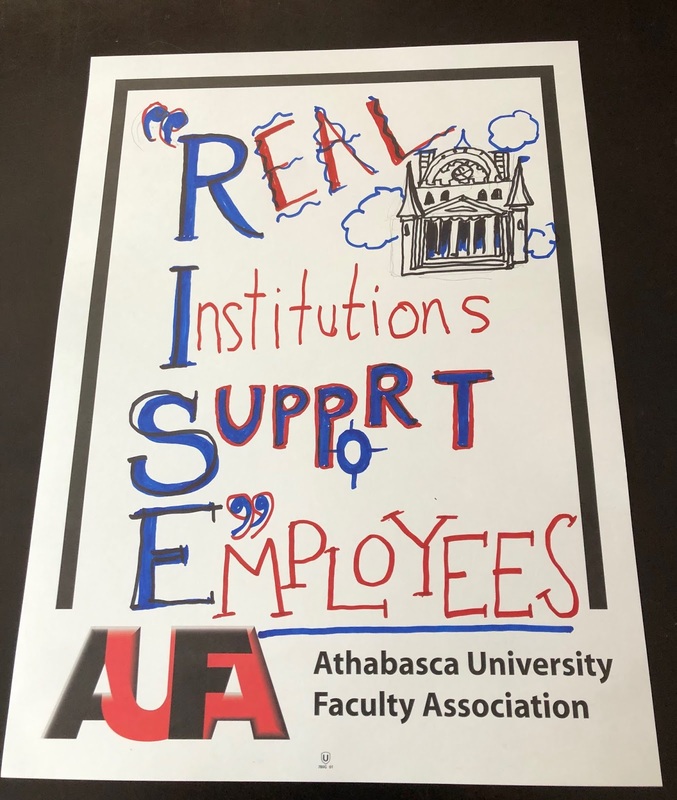 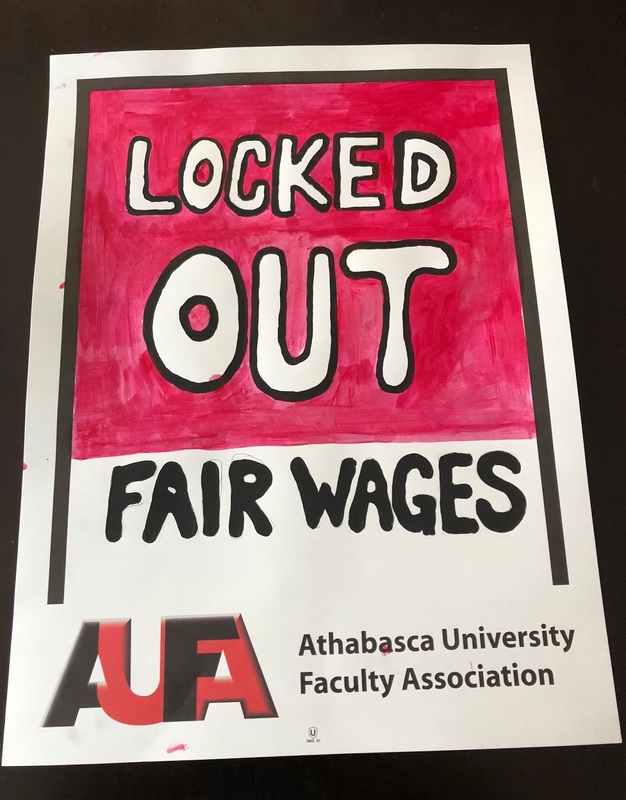 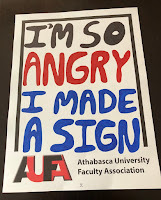 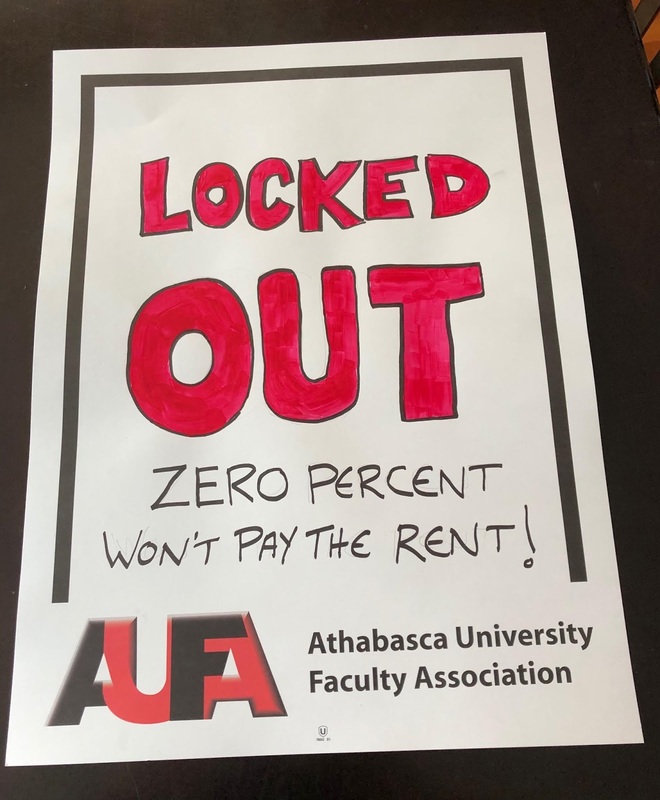 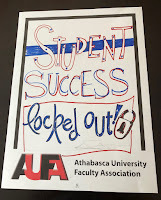 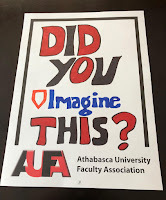 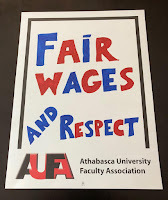 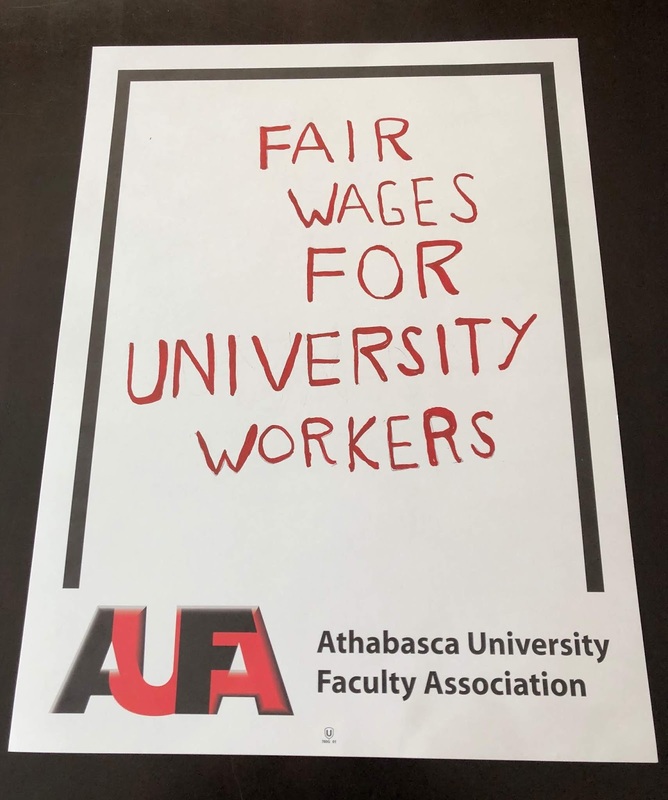 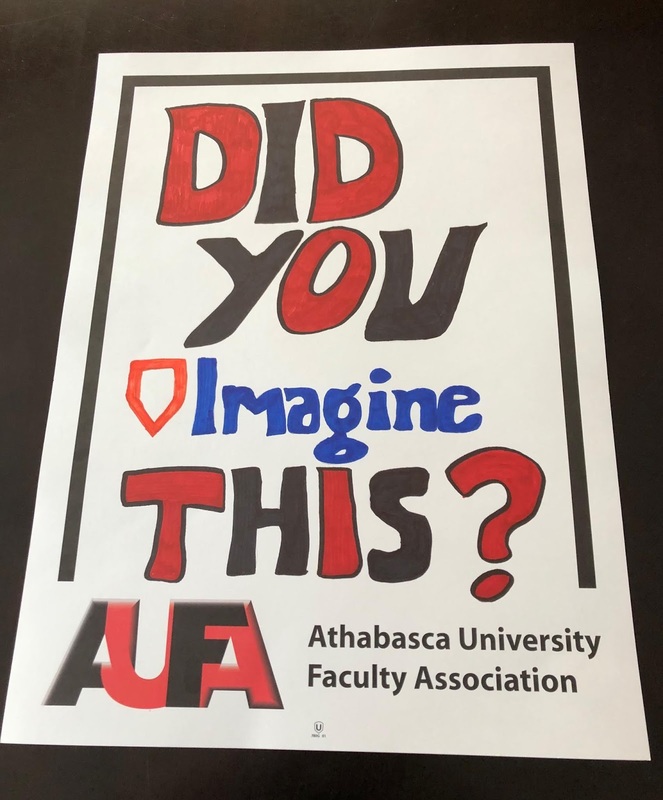 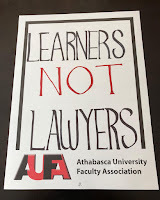 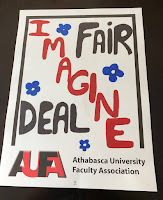 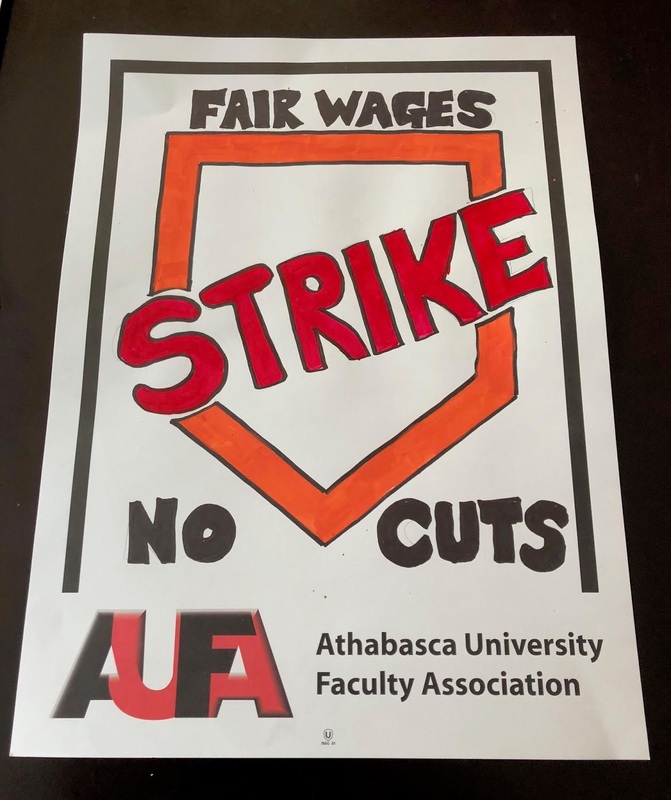 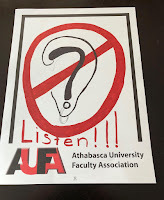 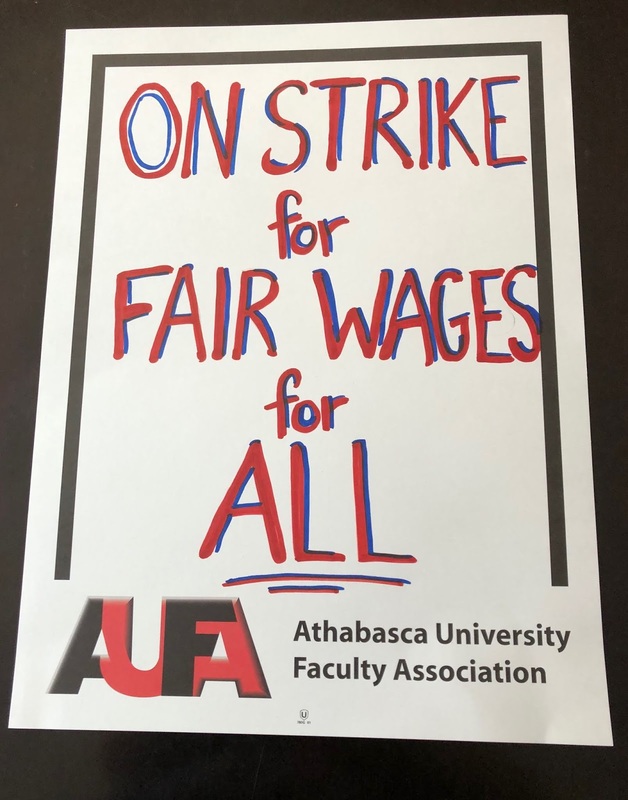 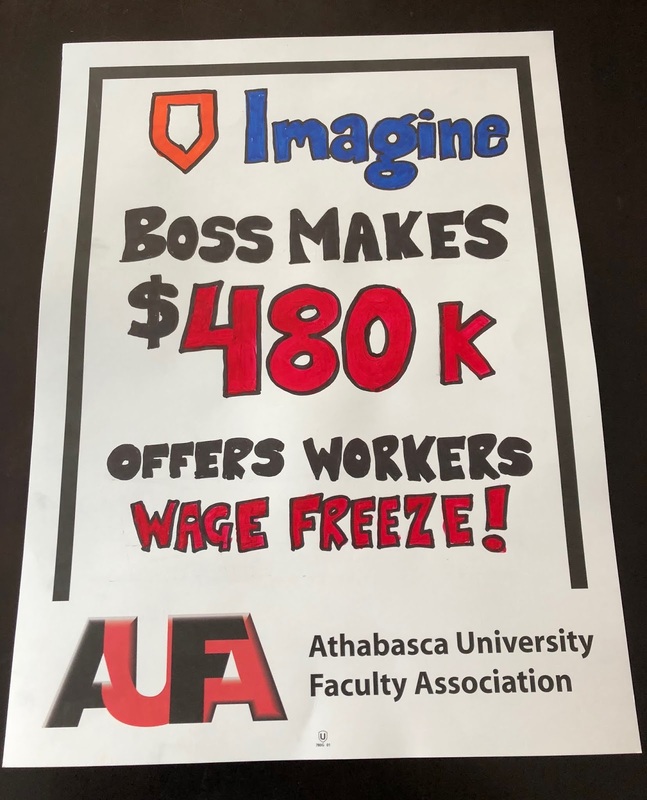 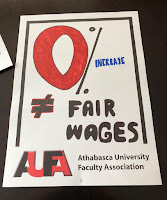 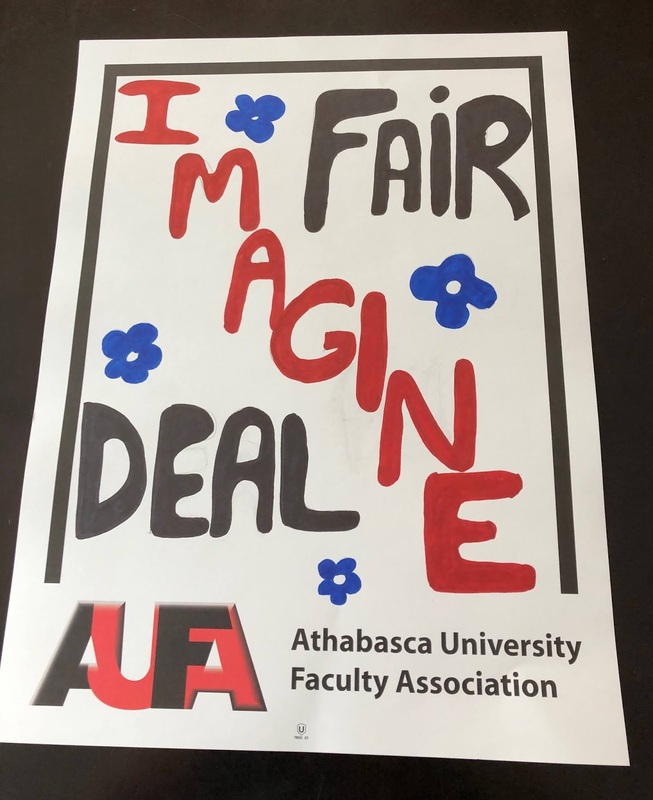 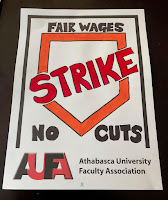 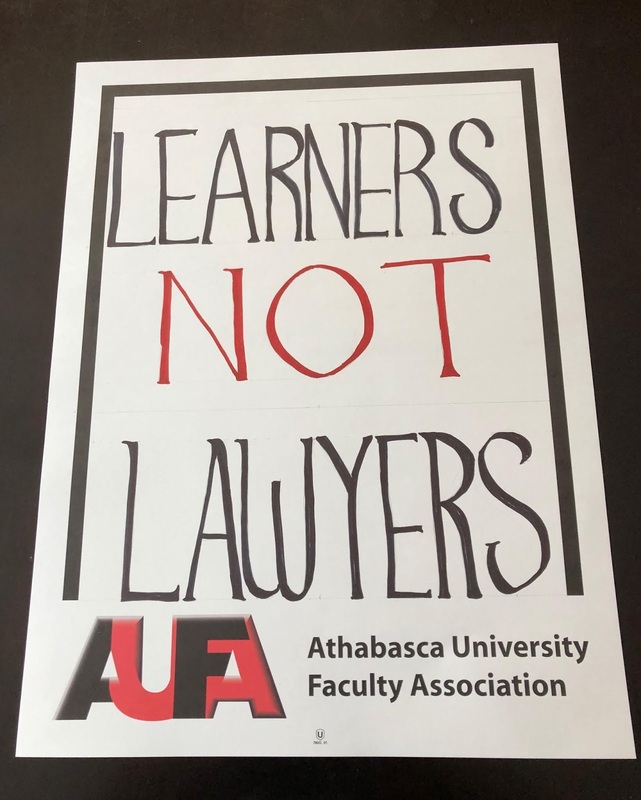 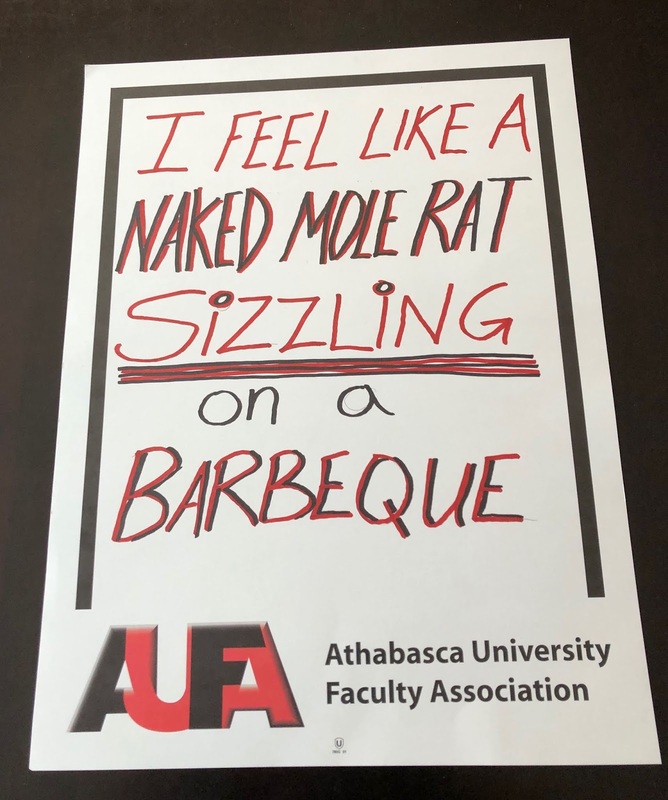 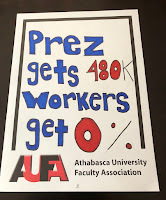 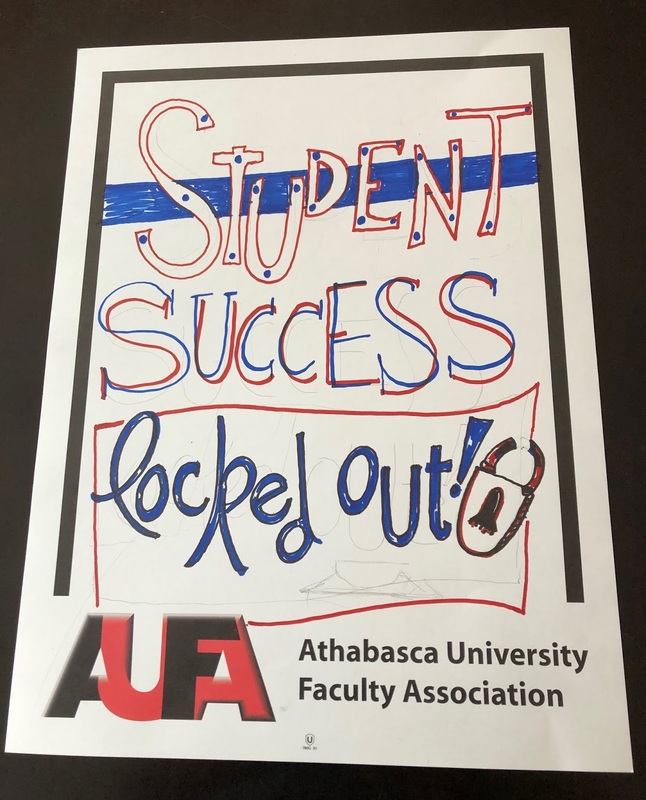 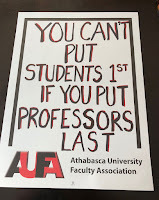 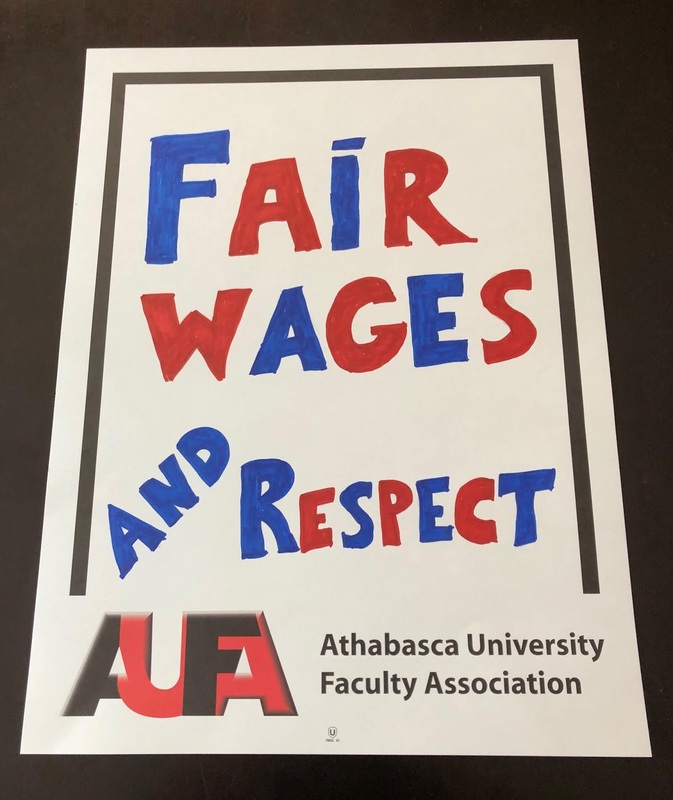 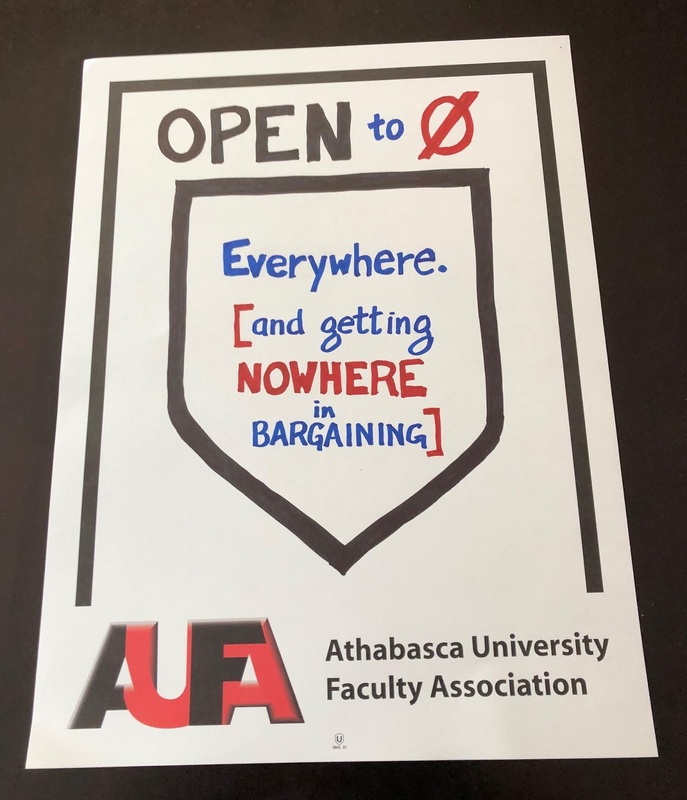 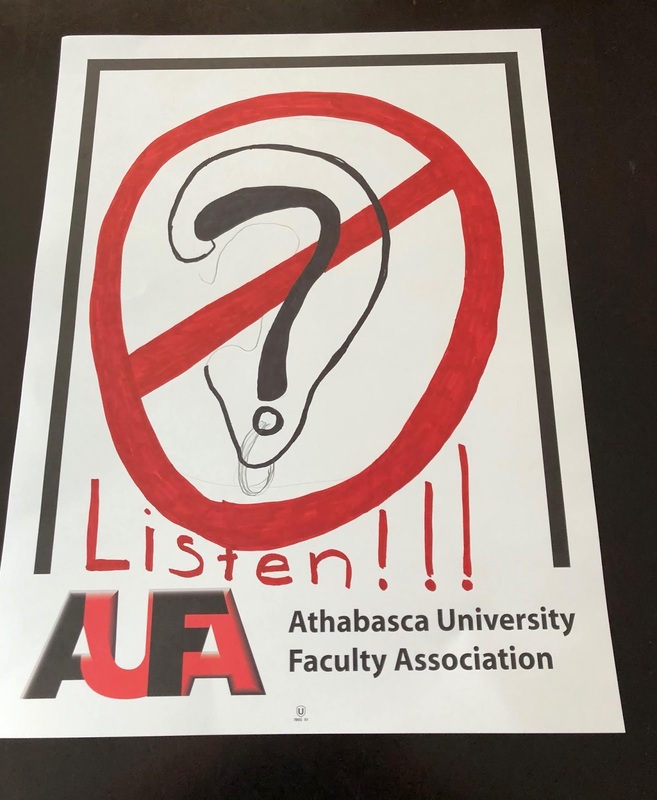 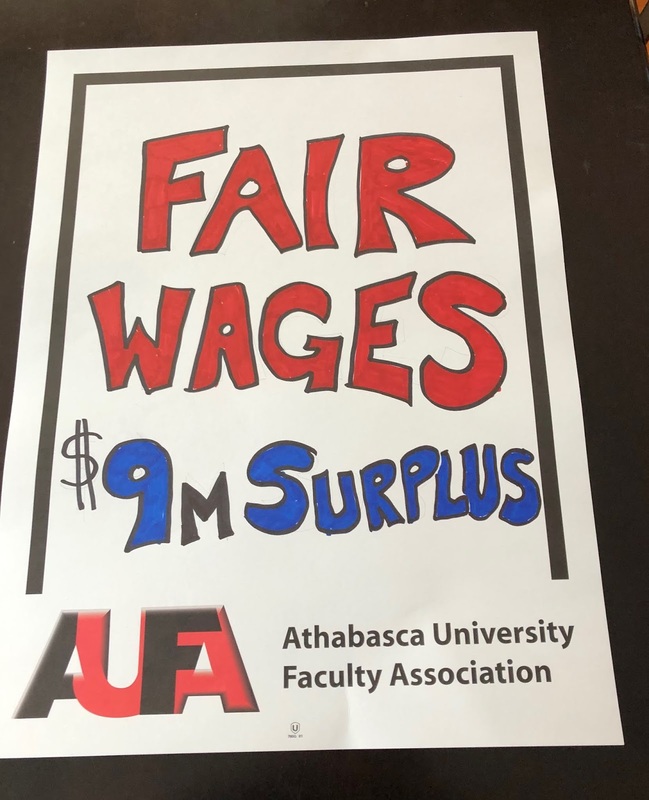 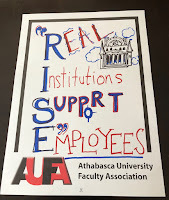 Last Friday, the Athabasca University Faculty Association (AUFA) held the first of three picket-sign making luncheons. 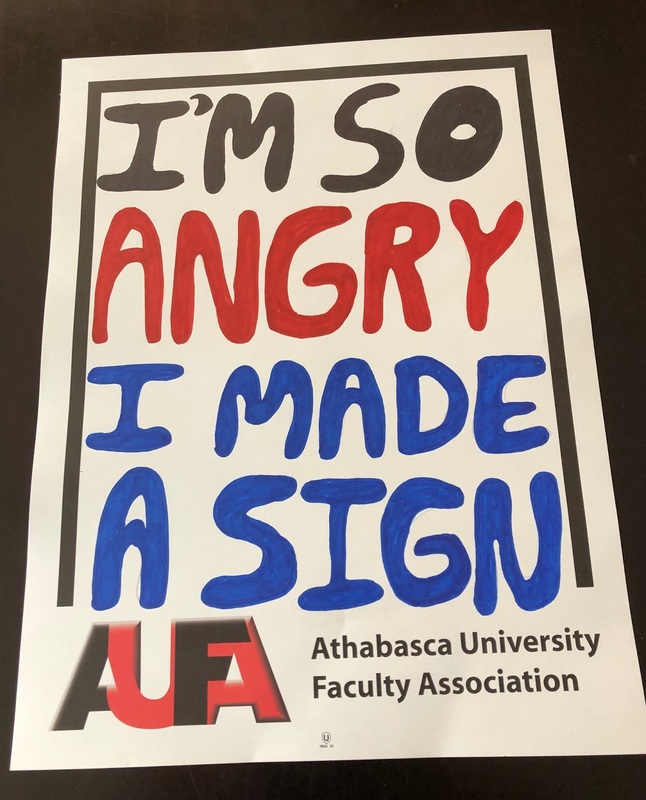 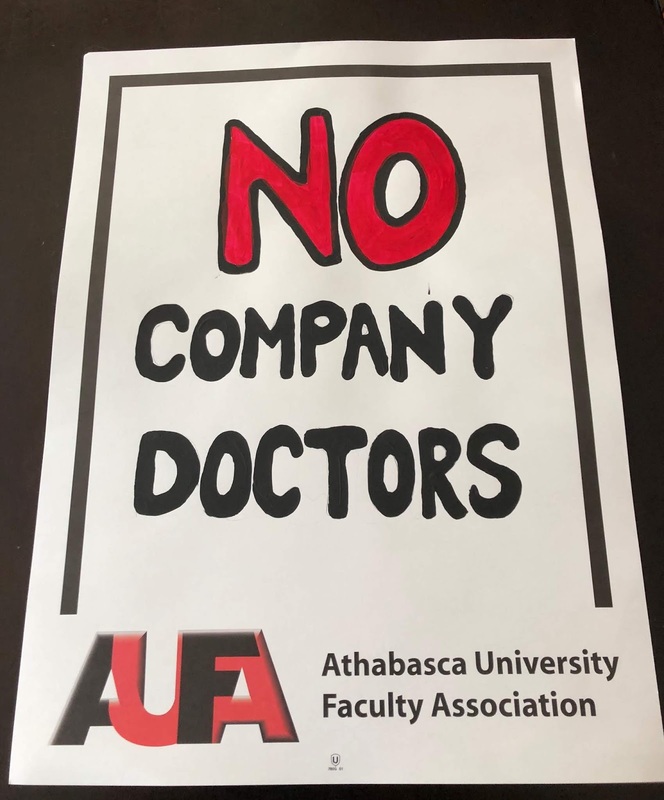 Twenty faculty members came together to prepare signs against the growing possibility of a work stoppage triggered by Athabasca University's demand for huge concessions. 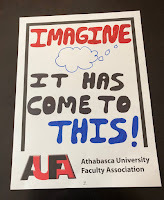 The conversation was fascinating, as people expressed disappointment contrasting the lofty ambitions of President Fassina's "Imagine" strategic plan (now widely referred to as the "Imaginary" plan) and his "OneAU" rhetoric with his administration's increasingly shoddy treatment of staff. 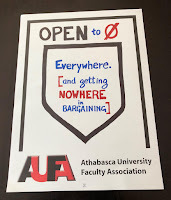 Bargaining continues on January 16th and another AUFA sign-making luncheon is schedule in Athabasca for Friday, January 18th.